Our offers - Deutsch-Amerikanisches Institut. Haus der Kultur. Our innovative and interactive workshops give children and young people access to the German language and literature in an imaginative way. The DAI organizes free interactive workshops with a focus on creative writing for schools and groups of children. 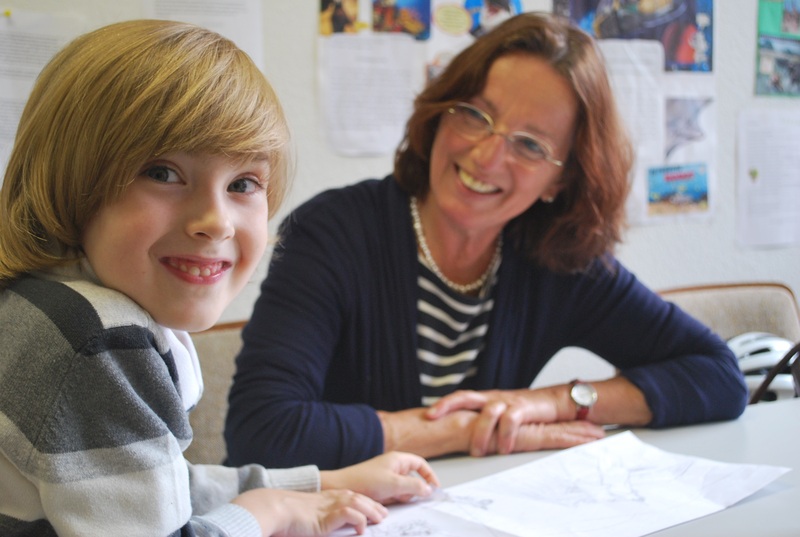 As part of the Children’s and Youth Literature summer Baden-Württemberg 2014, writing workshops for children and young people will take place from mid-May to late October. Please ask Ms. Sabani for the exact dates. 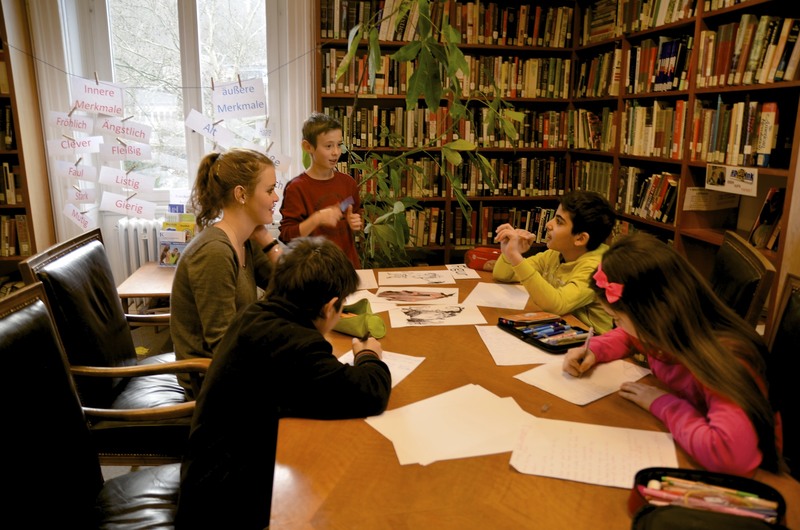 In our writer’s lab, children and young people will be immersed into the world of literature. They will get to know the elements of a narrative using different media and literary role models. In small groups, they will develop storytelling techniques. They can implement everything they learned at every stage of their workshop and create their own story. The aim of the writer’s lab is that the participants increase their verbal skills creatively and playfully and take their own story home. If you and your class would like to attend a workshop, please send an E-Mail. Our tutors go into schools and work with pupils on language and verbal skills. The supervision in small groups is of great benefit especially for children with migrant backgrounds. One-on-one assistance is intended primarily for children whose native language is not German, and for those who have a learning disability and are dependent on extracurricular support. Each child who is admitted to the project will receive personal one-on-one assistance by a selected tutor. The aim of the project is to strengthen the linguistic and social skills of children through individual support and thus to promote their integration into society. Our dedicated volunteer tutors meet once or twice a week with the children, help them with the reading and the writing of texts and with any questions they may have. The one-on-one attention the children receive from their tutors is itself a confindence booster. If interested, parents, children and committed tutors can get in touch with us. Contact details can be found here.